Helping Maine seniors and their families live healthy and independent lives! 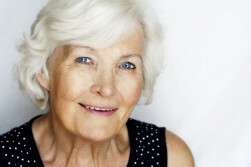 Looking for senior assistance? Maine Senior Guide is easy to use! Just scroll over the menu above, find a category you’d like to explore, and then search by your region or town to see local resources. You can also find lots of information in the library on our past blog posts and guest articles. Maine Senior Guide includes senior resource information on everything from independent living to elder law attorneys, from joint replacement to senior activities. We welcome suggestions! Need help or specific guidance? Yes, you may publish my question, but remove any names or sensitive information.